They work really hard. They work really long hours. In their profession, you do not afford to mess up. As a nurse, you cannot make mistakes because you are dealing with the life of a child, a man, or woman who has come to you for help. It is sad that their importance is underestimated and they are paid peanuts to suffer while trying their best to do good. Health care services are about teamwork and doctors admit that they cannot operate without nurses. While the public seats back and watches, many patients are suffering. In the developed world, these wonderful caregivers have been long acknowledged as the backbone of any medical industry. You have no universal healthcare if you cannot take care of nurses. 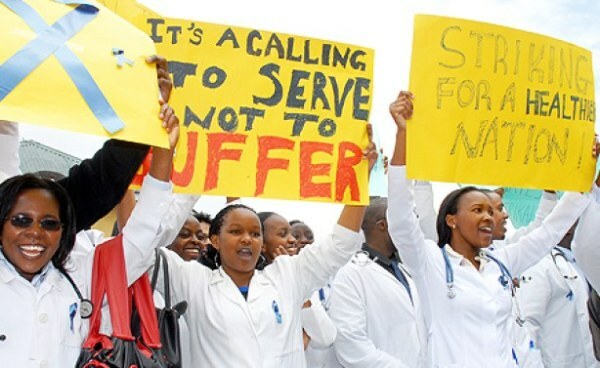 While Kenya boasts of nursing schools, the government has continually done little to improve these training institutions and fairly compensate nurses who work overtime with no proportionate rewards. For nurses, you help a patient because your human instinct and emotions kick in, but if it was down to getting value for your service, many say they will not go on. On average, A Kenyan nurse does the work of three in America or Cuba. If you relate this to the pay they get, then you realize they are actually doing the nation a favor. In a country with inflation and high prices for basic commodities, they do what they have to do. When the Kenyan government allows a strike to go on for over four months, how then can we talk about them caring? After an outbreak of malaria in the Northern frontier counties, we are reminded that the effects of this strike may not be felt now but later. Months from now when children will suffer because of the vaccinations they missed, it will be saddening to remember the cry that our nurses made, but the public and government took lightly. Help these valuable people get their rights. Save them so that they can continue saving us. @AllkenyaNurseS One day the health cs will be a nurse,and several county governors with nursing profession,I pray the Mighty physician.